This article is about the office in Christian churches. For other uses, see Bishop (disambiguation). For bishops as a group, see Historical episcopate. For form of church government by bishops, see Episcopal polity. A bishop (English derivation[n 1] from the New Testament Greek ἐπίσκοπος, epískopos, "overseer", "guardian") is an ordained or consecrated member of the Christian clergy who is generally entrusted with a position of authority and oversight. Within the Roman Catholic, Eastern Orthodox, Oriental Orthodox, Anglican, Old Catholic and Independent Catholic churches and in the Assyrian Church of the East, bishops claim apostolic succession, a direct historical lineage dating back to the original Twelve Apostles. Within these churches, bishops are seen as those who possess the full priesthood and can ordain clergy – including other bishops. Some Protestant churches including the Lutheran and Methodist churches have bishops serving similar functions as well, though not always understood to be within apostolic succession in the same way. One who has been ordained deacon, priest, and then bishop is understood to hold the fullness of the (ministerial) priesthood, given responsibility by Christ to govern, teach and sanctify the Body of Christ, members of the Faithful. Priests, deacons and lay ministers cooperate and assist their bishop(s) in shepherding a flock. The term epískopos meaning bishop in Greek, the early language of the Christian Church, was not from the earliest times clearly distinguished from the term presbýteros (literally: "elder" or "senior", origin of the modern English word priest), but the term was already clearly used in the sense of the order or office of bishop, distinct from that of presbyter in the writings of Ignatius of Antioch (died c. 108), and sources from the middle of the 2nd century undoubtedly set forth that all the chief centres of Christianity recognized and had the office of bishop, using a form of organization that remained universal until the Protestant Reformation. The earliest organization of the Church in Jerusalem was, according to most scholars, similar to that of Jewish synagogues, but it had a council or college of ordained presbyters (Greek: πρεσβύτεροι elders, priests). In Acts 11:30 and Acts 15:22, we see a collegiate system of government in Jerusalem chaired by James the Just, according to tradition the first bishop of the city. In Acts 14:23, the Apostle Paul ordains presbyters in churches in Anatolia. Often, the word presbyter was not yet distinguished from overseer (ἐπίσκοπος episkopos, later used exclusively to mean bishop), as in Acts 20:17, Titus 1:5,7 and 1 Peter 5:1. 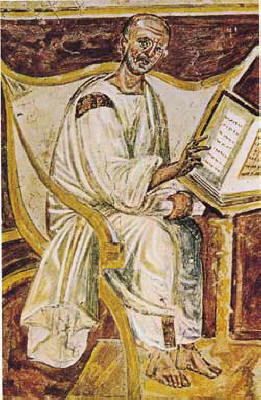 The earliest writings of the Apostolic Fathers, the Didache and the First Epistle of Clement, for example, show the church used two terms for local church offices—presbyters (seen by many as an interchangeable term with episcopos or overseer) and deacon. This does not mean that the episcopate, in the sense of the holder of the order or office of bishop, must have developed only later, or have been plural, because in each church the college or presbyter-overseers (also called "presbyter-bishops") did not exercise an independent supreme power; it was subject to the Apostles or to their delegates. An explanation suggests that the delegates were bishops in the actual sense of the term, but that they did not possess fixed sees nor had they a special title. Since they were essentially itinerant, they confided to the care of some of the better educated and highly respected converts the fixed necessary functions relating to the daily life of the community. Early sources are unclear but various groups of Christian communities may have had the bishop surrounded by a group or college functioning as leaders of the local churches. Eventually the head or "monarchic" bishop came to rule more clearly, and all local churches would eventually follow the example of the other churches and structure themselves after the model of the others with the one bishop in clearer charge, though the role of the body of priests remained important. Around the end of the 1st century, the church's organization becomes clearer in historical documents. In the works of the Apostolic Fathers, and Ignatius of Antioch in particular, the role of the episkopos, or bishop, became more important or, rather, already was very important and being clearly defined. While Ignatius of Antioch offers the earliest clear description of monarchial bishops (a single bishop over all house churches in a city) he is an advocate of monepiscopal structure rather than describing an accepted reality. To the bishops and house churches to which he writes, he offers strategies on how to pressure house churches who don't recognize the bishop into compliance. Other contemporary Christian writers do not describe monarchial bishops, either continuing to equate them with the presbyters or speaking of episkopoi (bishops, plural) in a city. It is clear that a single bishop was expected to lead the church in each centre of Christian mission, supported by a council of presbyters (a distinct and subordinate position) with a pool of deacons. As the Church continued to expand, new churches in important cities gained their own bishop. Churches in the regions outside an important city were served by Chorbishop, an official rank of bishops. However, soon, presbyters and deacons were sent from bishop of a city church. Gradually priests replaced the chorbishops. Thus, in time, the bishop changed from being the leader of a single church confined to an urban area to being the leader of the churches of a given geographical area. As well as being arch chancellors of the Holy Roman Empire after the 9th century, bishops generally served as chancellors to medieval monarchs, acting as head of the justiciary and chief chaplain. The Lord Chancellor of England was almost always a bishop up until the dismissal of Cardinal Thomas Wolsey by Henry VIII. Similarly, the position of Kanclerz in the Polish kingdom was always a bishop until the 16th century. In the 21st century, the more senior bishops of the Church of England continue to sit in the House of Lords of the Parliament of the United Kingdom, as representatives of the established church, and are known as Lords Spiritual. The Bishop of Sodor and Man, whose diocese lies outside of the United Kingdom, is an ex officio member of the Legislative Council of the Isle of Man. In the past, the Bishop of Durham, known as a prince bishop, had extensive viceregal powers within his northern diocese — the power to mint money, collect taxes and raise an army to defend against the Scots. Patriarchs are the bishops who head certain ancient autocephalous or sui iuris churches, which are a collection of metropolitan sees or provinces. After the First Ecumenical Council at Nicea, the church structure was patterned after the administrative divisions of the Roman Empire wherein a metropolitan or bishop of a metropolis came to be the ecclesiastical head of a civil capital of a province or a metropolis. Whereas, the bishop of the larger administrative district, diocese, came to be called an exarch. In a few cases, a bishop came to preside over a number of dioceses, i.e., Rome, Antioch, and Alexandria. At the Fourth Ecumenical Council at Chalcedon in 451, Constantinople was given jurisdiction over three dioceses for the reason that the city was "the residence of the emperor and senate". Additionally, Jerusalem was recognized at the Council of Chalcedon as one of the major sees. In 692, the Quinisext Council formally recognized and ranked the sees of the Pentarchy in order of preeminence, at that time Rome, Constantinople, Alexandria, Antioch, and Jerusalem. In the Catholic Church, Patriarchs sometimes call their leaders Catholicos; the Patriarch of the Orthodox Church of Alexandria, Egypt, is called Pope, meaning 'Father'. While most patriarchs in the Eastern Catholic Churches have jurisdiction over a "ritual church" (a group or diocese of a particular Eastern tradition), all Latin Rite patriarchs, except for the Pope, have only honorary titles. In 2006, Pope Benedict XVI gave up the title of Patriarch of the West. The first recorded use of the title by a Roman Pope was by Theodore I in 620. However, early church documents, such as those of the First Council of Nicaea (325) had always listed the Pope of Rome first among the Ancient Patriarchs (first four, and later five: Rome, Constantinople, Alexandria, Antioch and Jerusalem—collectively referred to as the Pentarchy). Later, the heads of various national churches became Patriarchs, but they are ranked below the Pentarchy. Mitre worn by an Eastern bishop with icons of Christ, the Theotokos (Mary, Mother of God) and Forerunner (John the Baptist). A suffragan bishop is a bishop subordinate to a Metropolitan. In the Roman Catholic Church this term is applied to all non-metropolitan bishops (that is, diocesan bishops of dioceses within a metropolitan's province, and auxiliary bishops). In the Anglican Communion, the term applies to a bishop who is a full-time assistant to a diocesan bishop: the Bishop of Warwick is suffragan to the Bishop of Coventry (the diocesan), though both live in Coventry. An auxiliary bishop is a full-time assistant to a diocesan bishop (the Orthodox and Catholic equivalent of an Anglican suffragan bishop). An auxiliary bishop is a titular bishop, and he is to be appointed as a vicar general or at least as an episcopal vicar of the diocese in which he serves. Honorary Assistant Bishop, Assisting Bishop, or Bishop Emeritus: These titles are usually applied to retired bishops who are given a general licence to minister as episcopal pastors under a diocesan's oversight. The titles, in this meaning, are not used by the Roman Catholic Church. The Obispo Maximo, or Supreme Bishop, of the Iglesia Filipina Independiente is elected by the General Assembly of the Church. He is the Chief Executive Officer of the Church. He also holds an important pastoral role being the Spiritual Head and Chief Pastor of the Church. He has precedence of honor and prominence of position among, and recognized to have primacy, over other bishops. In Roman Catholicism, a cardinal is a member of the clergy appointed by the pope to serve in the College of Cardinals, the body empowered to elect the pope; however, on turning 80 a cardinal loses this right of election. Cardinals also serve as advisors to the pope and hold positions of authority within the structure of the Catholic Church. Under modern canon law, a man who is appointed a cardinal must accept ordination as a bishop, unless he already is one, or seek special permission from the pope to decline such ordination. Most cardinals are already bishops at the time of their appointment, the majority being archbishops of important archdioceses or patriarchs, and a substantial portion of the rest already titular archbishops serving in the Vatican. Recent popes have appointed a few priests, most of them influential theologians, to the College of Cardinals without requiring them to be ordained as bishops; invariably, these men are over the age of 80, which means they are not permitted to take part in a conclave. The purpose of these appointments is to recognize their distinguished contribution to the life of the Church. Bishops in all of these communions are ordained by other bishops through the laying on of hands. While traditional teaching maintains that any bishop with apostolic succession can validly perform the ordination of another bishop, some churches require two or three bishops participate, either to ensure sacramental validity or to conform with church law. Roman Catholic doctrine holds that one bishop can validly ordain another male (priest) as a bishop. Though a minimum of three bishops participating is desirable (there are usually several more) in order to demonstrate collegiality, canonically only one bishop is necessary. The practice of only one bishop ordaining was normal in countries where the Church was persecuted under Communist rule. The title of archbishop or metropolitan may be granted to a senior bishop, usually one who is in charge of a large ecclesiastical jurisdiction. He may, or may not, have provincial oversight of suffragan bishops and may possibly have auxiliary bishops assisting him. 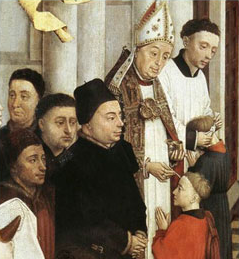 Ordination of a bishop, and thus continuation of apostolic succession, takes place through a ritual centred on the imposition of hands and prayer. Apart from the ordination, which is always done by other bishops, there are different methods as to the actual selection of a candidate for ordination as bishop. In the Catholic Church the Congregation for Bishops oversees the selection of new bishops with the approval of the pope. The papal nuncio usually solicits names from the bishops of a country, and then selects three to be forwarded to the Holy See. Most Eastern Orthodox churches allow varying amounts of formalised laity and/or lower clergy influence on the choice of bishops. This also applies in those Eastern churches which are in union with the pope, though it is required that he give assent. Catholic, Orthodox, Anglican, Old Catholic and some Lutheran bishops claim to be part of the continuous sequence of ordained bishops since the days of the apostles referred to as apostolic succession. Since Pope Leo XIII issued the bull Apostolicae Curae in 1896, the Catholic Church has insisted that Anglican orders are invalid because of changes in the Anglican ordination rites of the 16th century and divergence in understanding of the theology of priesthood, episcopacy and Eucharist. However, since the 1930s, Utrecht Old Catholic bishops (recognised by the Holy See as validily ordained) have sometimes taken part in the ordination of Anglican bishops. According to the writer Timothy Dufort, by 1969, all Church of England bishops had acquired Old Catholic lines of apostolic succession recognised by the Holy See. This development has muddied the waters somewhat as it could be argued that the strain of apostolic succession has been re-introduced into Anglicanism, at least within the Church of England. The Catholic Church does recognise as valid (though illicit) ordinations done by breakaway Catholic, Old Catholic or Oriental bishops, and groups descended from them; it also regards as both valid and licit those ordinations done by bishops of the Eastern churches, so long as those receiving the ordination conform to other canonical requirements (for example, is an adult male) and an orthodox rite of episcopal ordination, expressing the proper functions and sacramental status of a bishop, is used; this has given rise to the phenomenon of episcopi vagantes (for example, clergy of the Independent Catholic groups which claim apostolic succession, though this claim is rejected by both Orthodoxy and Catholicism). The Orthodox Churches would not accept the validity of any ordinations performed by the Independent Catholic groups, as Orthodoxy considers to be spurious any consecration outside of the Church as a whole. Orthodoxy considers apostolic succession to exist only within the Universal Church, and not through any authority held by individual bishops; thus, if a bishop ordains someone to serve outside of the (Orthodox) Church, the ceremony is ineffectual, and no ordination has taken place regardless of the ritual used or the ordaining prelate's position within the Orthodox Churches. They hold that the practice within Independent groups of ordaining women demonstrates an understanding of Priesthood that they vindicate is totally unacceptable to the Catholic and Orthodox churches as they believe that the Universal Church does not possess such authority; thus, they uphold that any ceremonies performed by these women should be considered being sacramentally invalid. The theology of male clergy within the Independent movement is also suspect according to the Roman Catholics, as they presumably approve of the ordination of females, and may have even undergone an (invalid) ordination ceremony conducted by a woman. Some provinces of the Anglican Communion have begun ordaining women as bishops in recent decades for example, the United States, New Zealand, Canada and Cuba. The first woman bishop within Anglicanism was Barbara Clementine Harris, who was ordained in the United States in 1989. In 2006, Katharine Jefferts Schori, the Episcopal Bishop of Nevada, became the first woman to become the Presiding Bishop of the Episcopal Church. Mark S. Hanson, Third Presiding Bishop of the ELCA. Danish bishops, note the medieval collars. Since going into ecumenical communion with their respective Anglican body, bishops in the ELCA or the ELCIC not only approve the "rostering" of all ordained pastors, diaconal ministers, and associates in ministry, but they serve as the principal celebrant of all pastoral ordination and installation ceremonies, diaconal consecration ceremonies, as well as serving as the "chief pastor" of the local synod, upholding the teachings of Martin Luther as well as the documentations of the Ninety-Five Theses and the Augsburg Confession. Unlike their counterparts in the United Methodist Church, ELCA and ELCIC synod bishops do not appoint pastors to local congregations (pastors, like their counterparts in the Episcopal Church, are called by local congregations). The Presiding Bishop of the ELCA and the National Bishop of the ELCIC, the national bishops of their respective bodies, is elected for a single 6-year term and may be elected to an additional term. Although ELCA agreed with the Episcopal Church to limit ordination to the bishop "ordinarily", ELCA pastor-ordinators are given permission to perform the rites in "extraordinary" circumstance. In practice, "extraordinary" circumstance have included disagreeing with Episcopalian views of the episcopate, and as a result, ELCA pastors ordained by other pastors are not permitted to be deployed to Episcopal Churches (they can, however, serve in Presbyterian Church USA, United Methodist Church, Reformed Church in America, and Moravian Church congregations, as the ELCA is in full communion with these denominations). The Lutheran Church–Missouri Synod (LCMS) and the Wisconsin Evangelical Lutheran Synod (WELS), the second and third largest Lutheran bodies in the United States and the two largest Confessional Lutheran bodies in North America, do not have a bishop as the head of the church or middle jurisdiction, practicing a form of congregationalism similar to the United Church of Christ. It should also be noted that the second largest of the three predecessor bodies of the ELCA, the American Lutheran Church, was a congregationalist body, with national and synod presidents before they were re-titled as bishops (borrowing from the Lutheran churches in Germany) in the 1980s. In each Annual Conference, United Methodist bishops serve for four-year terms, and may serve up to three terms before either retirement or appointment to a new Conference. United Methodist bishops may be male or female, with the Rev. Marjorie Matthews being the first woman to be consecrated a bishop in 1980. In The Church of Jesus Christ of Latter-day Saints, the Bishop is the leader of a local congregation, called a ward. As with most LDS priesthood holders, the bishop is a part-time lay minister and earns a living through other employment; in all cases, he is a married man. As such, it is his duty to preside at services, call local leaders, and judge the worthiness of members for service. The bishop does not deliver sermons at every service (generally asking members to do so), but is expected to be a spiritual guide for his congregation. It is therefore believed that he has both the right and ability to receive divine inspiration (through the Holy Spirit) for the ward under his direction. Because it is a part-time position, all able members are expected to assist in the management of the ward by holding delegated lay positions (for example, women's and youth leaders, teachers) referred to as 'callings.' Although members are asked to confess serious sins to him, unlike the Roman Catholic Church, he is not the instrument of divine forgiveness, merely a guide through the repentance process (and a judge in case transgressions warrant excommunication or other official discipline). The bishop is also responsible for the physical welfare of the ward, and thus collects tithing and fast offerings and distributes financial assistance where needed. Latter-day Saint bishops do not wear any special clothing or insignia the way clergy in many other churches do, but are expected to dress and groom themselves neatly and conservatively per their local culture, especially when performing official duties. Bishops (as well as other members of the priesthood) can trace their line of authority back to Joseph Smith, Jr., who, according to church doctrine, was ordained to lead the Church in modern times by the ancient apostles Peter, James, and John, who were ordained to lead the Church by Jesus Christ. The Presiding Bishop oversees the temporal affairs (buildings, properties, commercial corporations, and so on) of the worldwide Church, including the Church's massive global humanitarian aid and social welfare programs. The Presiding Bishop has two counselors; the three together form the Presiding Bishopric. In some smaller Protestant denominations and independent churches the term bishop is used in the same way as pastor, to refer to the leader of the local congregation, and may be male or female. This usage is especially common in African American churches in the USA. In the Church of Scotland, which has a Presbyterian church structure, the word "bishop" refers to an ordained person, usually a normal parish minister, who has temporary oversight of a trainee minister. In the Presbyterian Church (U.S.A.), the term bishop is an expressive name for a Minister of Word and Sacrament who serves a congregation and exercises "the oversight of the flock of Christ." The term is traceable to the 1789 Form of Government of the PC(U.S.A.) and the Presbyterian understanding of the pastoral office. While not considered orthodox Christian, the Ecclesia Gnostica Catholica uses roles and titles derived from Christianity for its clerical hierarchy, including bishops who have much the same authority and responsibilities as in Roman Catholicism. The Salvation Army does not have bishops but have appointed leaders of geographical areas known as Divisional Commanders. Larger geographical areas, called Territories, are led by a Territorial Commander, who is the highest-ranking officer in that Territory. Bishop. From Proto-Germanic *biskopas, *biskupaz (“bishop”), from Vulgar Latin *biscopus, from Latin episcopus (“overseer, supervisor”), from Ancient Greek ἐπίσκοπος (episkopos, “overseer”), from ἐπί (epi, “over”) + σκοπέω (skopeō, “I examine”). ^ ἐπίσκοπος. Liddell, Henry George; Scott, Robert; A Greek–English Lexicon at the Perseus Project. episcopus. Charlton T. Lewis and Charles Short. A Latin Dictionary on Perseus Project. Harper, Douglas. "bishop". Online Etymology Dictionary. 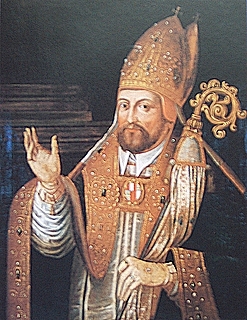 http://www.etymonline.com/index.php?term=bishop. ^ "Bona, Algeria". 1899. http://www.wdl.org/en/item/8787/. Retrieved 2013-09-25. ^ "Chorbishop - Wikipedia, the free encyclopedia". En.wikipedia.org. http://en.wikipedia.org/wiki/Chorbishop. Retrieved July 11, 2013. ^ "Canon 406". Code of Canon Law. The Holy See. 1983. http://www.vatican.va/archive/ENG1104/__P1F.HTM. Retrieved 2009-06-15. ^ The Book of Discipline of the United Methodist Church: Specific Responsibilities of Bishops—¶ 514–516 (retrieved 27 May 2007). ^ The Book of Discipline of the United Methodist Church: Council of Bishops—¶ 526 (retrieved 27 May 2007). ^ Smith, Joseph (2007). Teachings of Presidents of the Church: Joseph Smith. p. 101. http://www.lds.org/manual/teachings-joseph-smith/chapter-8?lang=eng. ^ McMullin, Keith B.. "The Presiding Bishopric". Ensign. http://www.lds.org/ensign/2005/07/the-presiding-bishopric?lang=eng. Retrieved 27 July 2012. ^ "Baptist Bishops Bucking Tradition". Atheism.about.com. http://atheism.about.com/b/2003/10/04/baptist-bishops-bucking-tradition.htm. Retrieved July 11, 2013. ^ Presbyterian Church (U.S.A.). Book of Order (2009-2011) (Louisville: Office of the General Assembly), G-6.0202. This page uses content from the English language Wikipedia. The original content was at Bishop. The list of authors can be seen in the page history. As with this Familypedia wiki, the content of Wikipedia is available under the Creative Commons License.